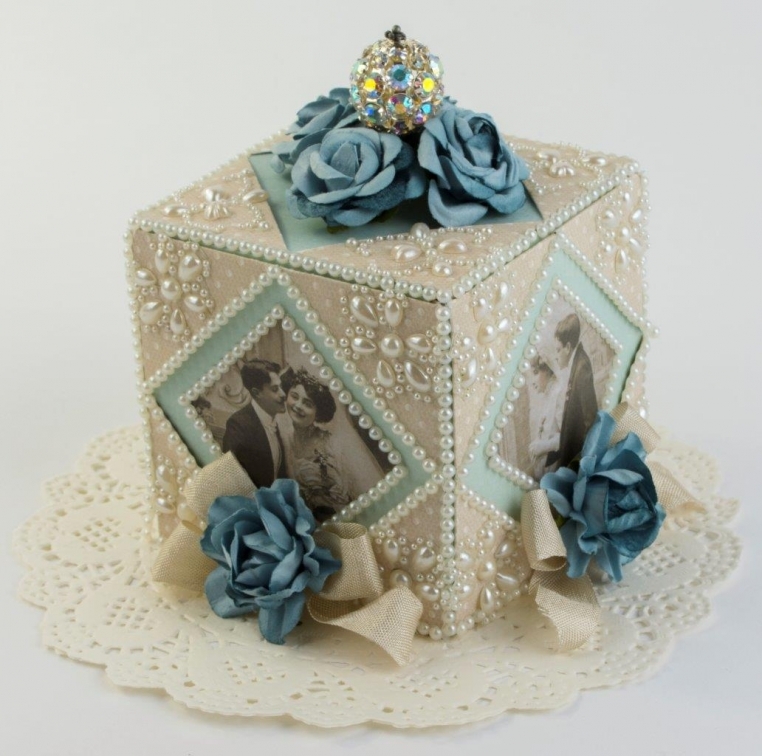 These photo cube boxes make sweet wedding gifts. 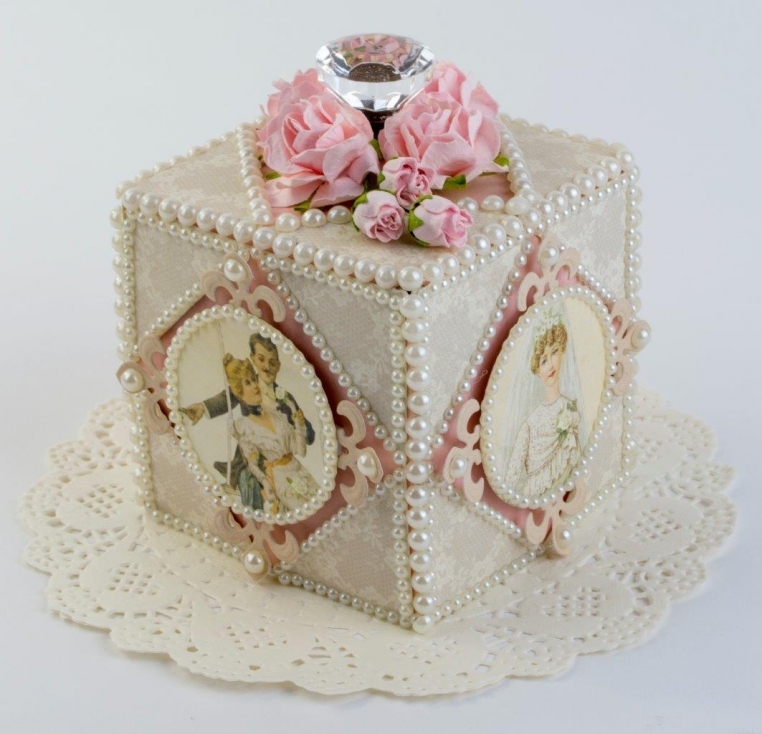 The outside of the cube can be decorated with wedding photos and the top opens to hold small photos and other wedding mementoes. 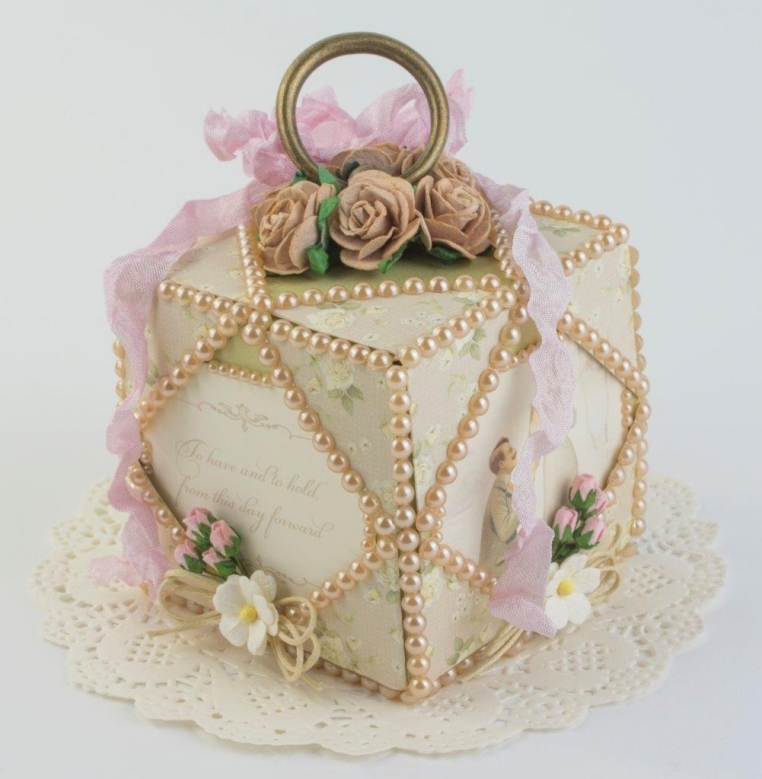 The boxes were made with the sturdy papers from Pion Design Palette and then covered with papers from the Vintage Wedding Collection. How clever and amazing each one of these are, Tara!! I love them all! Great job with the amazing Pion papers, so versatile! !